Central Park might not be the biggest park in the city but it definitely holds the most romance. When you think about New York City you don’t dream of visiting Flushing Meadows Corona Park or Van Cortlandt Park or Astoria Park or Prospect Park (ok maybe you dream of prospect park a little) and you likely don’t dream of Bryant Park or Madison Square Park or even Morningside Park or Riverside Park or any of the other parks in the city or the outer boroughs. But you do dream of Central Park. All 843 acres of it. The skyscraper skyline behind the trees, the vast open spaces, the Boathouse the bridges and the Ramble and the concerts and the running paths and the view from inside the MET and the playgrounds and the ball fields and the statues and the gates and the zoo and the unknown. You picture the scene from When Harry Met Sally walking down a path littered with the Autumn leaves and Wollman Rink in all its glory where John Cusak and Kate Beckingsdale spend an romantic date in Serendipity then find themselves again at the end and you likely picture any number of Woody Allen movies or the scene from the Muppets Take Manhattan where Piggy is stalking Kermit. 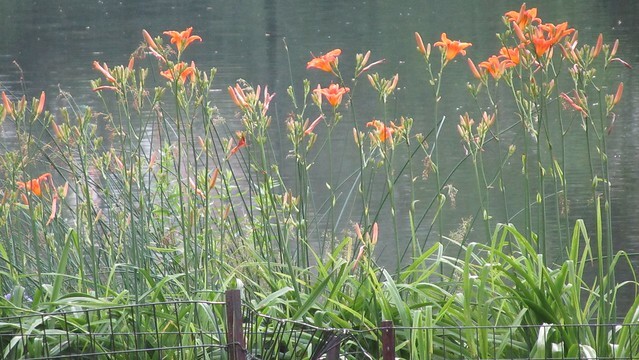 It should not be a surprise to anyone reading this blog that I am in love with New York City so forgive me the Central Park lovefest. I’ll try to capture the park on my blog in a way that maybe will do it a bit of justice. It is one of my favorite places in the city because it is both finite and infinite. The square footage is fixed and yet each time I am there it is changed or I am changed or I notice something new and certainly the people are different each time. One of my favorite activities is to people watch in Central Park. It still amazes how many people there are in New York City at any given moment going about their business. 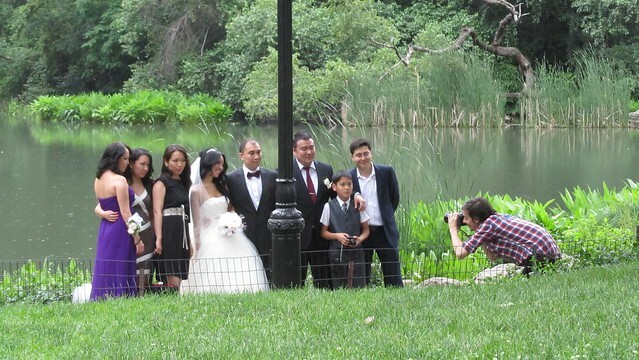 Engagement and wedding photos are nearly a sure thing on any visit to the park. Seriously you can turn any corner of the park into a picturesque fantasy to keep with you forever. On a recent day we found a nice patch of grass near one of the ponds and let the people wander before us. Other people all around us were napping, picnicking and reading. 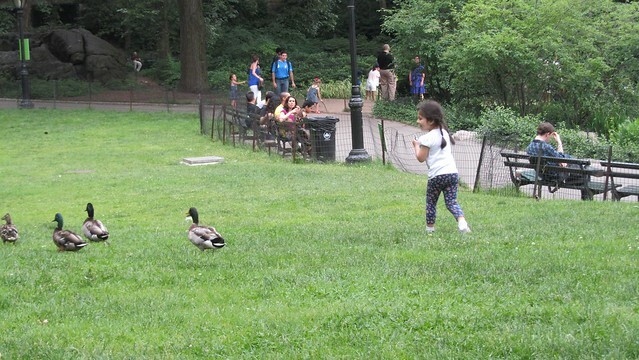 There was a group of kids chasing the ducks until the ducks started chasing them which was hilarious and well deserved. 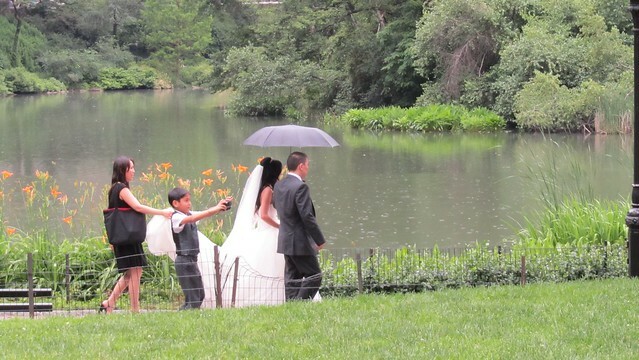 There were tiny birds looking for worms in the grass and a wedding party posing in front of our pond. 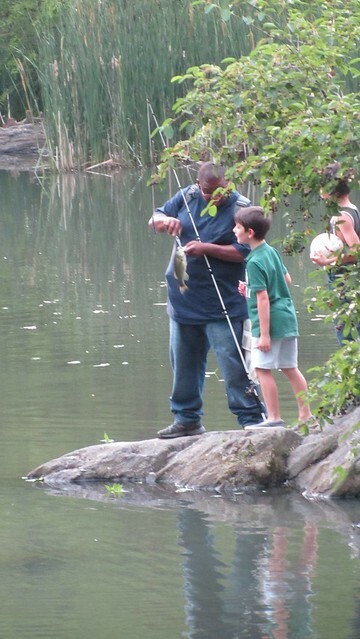 There was also a man fishing while a random boy walked up to him to ask about the fish he’d caught. who is chasing who in this picture? What is your biggest park? How big is Central Park? This entry was posted in everything i've blogged, locations, observations and tagged bronx, Central Park, museum, running, zoo. Bookmark the permalink. 2 Responses to central park. an ode. I must be the odd man out because I actually dream about River Side Park over any others in NYC. You’ve Got Mail- Tom and Meg meet at River Side at the end and it’s too cute to not fall in love. Plus for me, whenever I go to NYC, which is pretty often because my brothers live there, I stay out of touristy areas. I love exploring the parks and streets of the city that no one else seems to rememeber about. Colleen – you are absolutely right! NYC is so full of amazing park spaces throughout the city that I am overwhelmed by them. I’ve never lived in a city so lush with green space sprinkled in with everything else.